Opera is one of the popular browser. Opera has many inbuilt useful features. 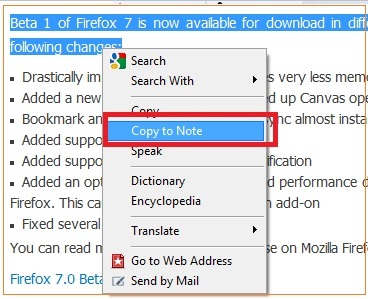 You can make notes in opera browser while surfing. With the Opera notes feature, you can write your own notes, save selected text from webpages, save email message templates, or create “to do” lists. 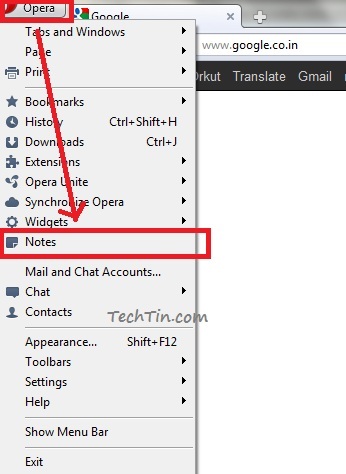 Click Opera Menu button >> Notes >> Add notes. Start writing your new note. Highlight / select the text you want to make as note. Right Click and select Copy to Note. 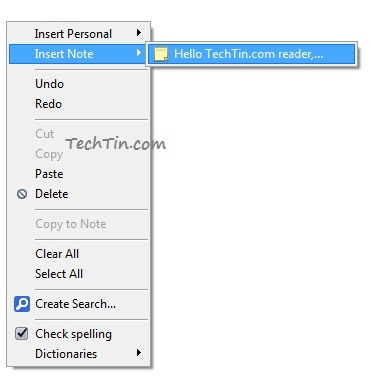 If you want to insert a saved note in an email message, web form field, or chat conversation, simple right click in the text box and select Insert Note and then select a saved note.